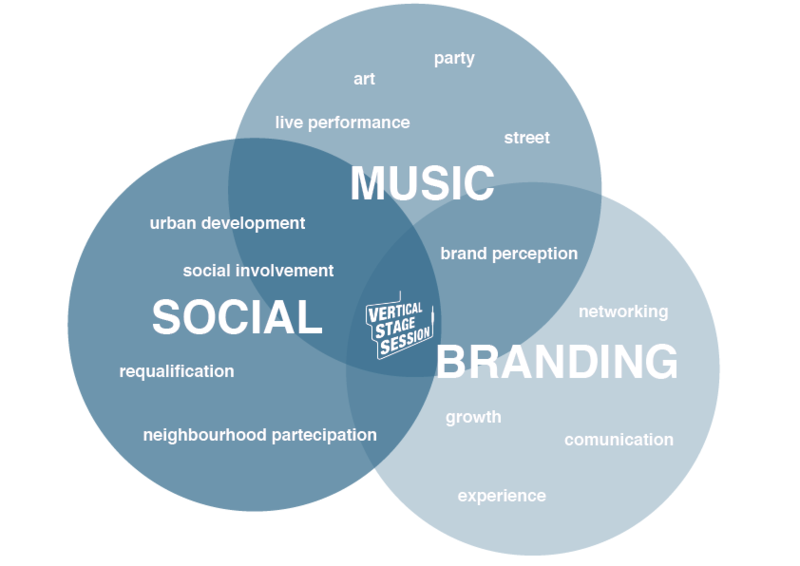 VERTICAL STAGE SESSION is an innovative format of free concerts where the usual concept of horizontal stage is turned over to give space to a new kind of social and artistic proposal. Created in 2011 and directed by the live performance director Stefano Pesca, in collaboration with the creative factory Eggers 2.0, Vertical Stage Session is a social-music experience. Vertical Stage uses the exterior of city buildings as a medium, and integrates their balconies, which are used as scenes by the musicians. example of collaborative economy and social involvement.